You pass through Waco on your way to Austin, San Antonio and other major road trip destinations down south. But Waco is more than just a drive-thru town. Thanks to museums, mammoths and a husband-and-wife house-flipping team, Waco is a bona fide destination. Spend a weekend in this central Texas gem to see all it has to offer—you and the kiddos may even learn a thing or two about Texas history along the way. We recommend booking an airbnb—unsurprisingly, there are a lot of cozy tiny homes, charming cottages and farmhouse-style renos (including a few you may recognize from Fixer Upper) available to rent. 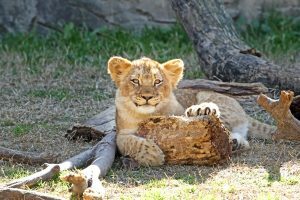 On a nice day, the Cameron Park Zoo tops the list of sites to see with children. Navigate the well-shaded paths to discover the zoo’s more than 1,700 animals, and on weekends between 11am and 12:30pm the kids can feed the zoo’s new giraffe pair ($5 per person). Before you go, download and print a free scavenger hunt from the zoo’s website for school-age kiddos to play while visiting. Admission is $10 for adults, $7 for kids and free for tiny explorers under 3. Waco is also home to a few hands-on museums spanning Texas history, sports and natural science. The Mayborn Museum Complex features several natural history exhibits as well as two floors of themed discovery rooms for children with fun activities, such as playing the piano with their feet and giving their best Pete Delkus impersonation while reporting the weather. General admission is $8 for adults and $6 for ages 2–12. Learn about the oldest law enforcement agency in Texas at the nearby Texas Ranger Hall of Fame and Museum. Pick up activity worksheets for the kids at the front desk and ask how your little ones can become Junior Texas Rangers. Admission is $8 for adults, $4 for children ages 6–12 and free for ages 5 and younger. To learn about Rangers of a different kind, visit the Texas Sports Hall of Fame, honoring more than 300 athletes from the Lone Star State who have excelled in—or on—their given fields. Learn about heart health through simulations and physical activities, and visit the fight song wall—every button plays a different university’s signature hymn. Admission is $7 for adults, $3 for school-age kids and free for kids younger than 6. 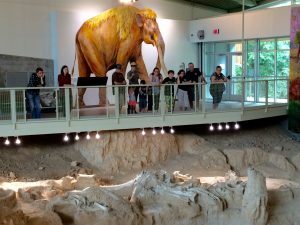 Learn all about the baby mammoths that lived thousands of years ago at the Waco Mammoth National Monument. Photo Courtesy of Waco Parks and Recreation. The Waco Mammoth National Monument showcases the nation’s only recorded discovery of a herd of baby mammoths. You can view the dig site from suspended walkways on a guided tour. Admission is $5 for adults, $3 for students in pre-K through 6th grade and free for ages 2 and younger. After getting your culture and history fix, head over to the museum dedicated to Texans’ favorite soft drink—the Dr Pepper Museum. Pick up a scavenger hunt worksheet at the front desk when you buy tickets, then visit the Liquid Lab for live science demos. When you inevitably get thirsty, indulge in Dr Pepper floats at the old-fashioned soda fountain. Admission is $10 for adults, $6 for kids and free for ages 3 and younger. A few blocks away is Magnolia Market at the Silos, open Monday–Saturday only. If the on-site parking lot is full, park elsewhere and ride the free Silo District Trolley to the market. (The Magnolia website has a map of the route and parking options.) When the kiddos get restless, head over to the spacious turf lawn and picnic area, but not before stopping by Silos Baking Co. for Joanna Gaines’ very own sweet and savory recipes. The legendary (and ironically named) Health Camp serves up burgers, fries and milkshakes that hit the spot. If you and your brood are more in the mood for something sweet, order made-from-scratch buttermilk pie or chocolate chip cookies at Lula Jane’s bakery.